The Winston County Board of Supervisor's Agenda for April 1, 2013 is now available by clicking here. This agenda is tentative and subject to change prior to the Board's meeting. To be placed on the agenda for future meetings, contact the Winston County Chancery Clerk's Office at 662-773-3631. 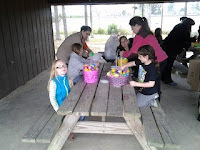 The threat of rain may have reduced the size of the crowd but not the excitement for youngsters on Saturday morning as the Junior Auxiliary hosted their annual Easter Egg Hunt at Ivy Park. It took longer for the Easter Bunny to hide the eggs than it did for the kids to find them. Someone is up bright and early this morning and waiting for the PCA Rodeo at the Louisville Coliseum to continue. Don't miss out on the action later today! News Release: The South men and North women came away with victories in the annual MACJC All-Star Basketball Games held Thursday night in the Brackeen-Wood Physical Education Building on the East Central Community College campus in Decatur. News Release: The Biblical saga of Joseph and his coat of many colors is the storyline for the 2013 spring musical scheduled April 10-13, 2013, at East Central Community College in Decatur. 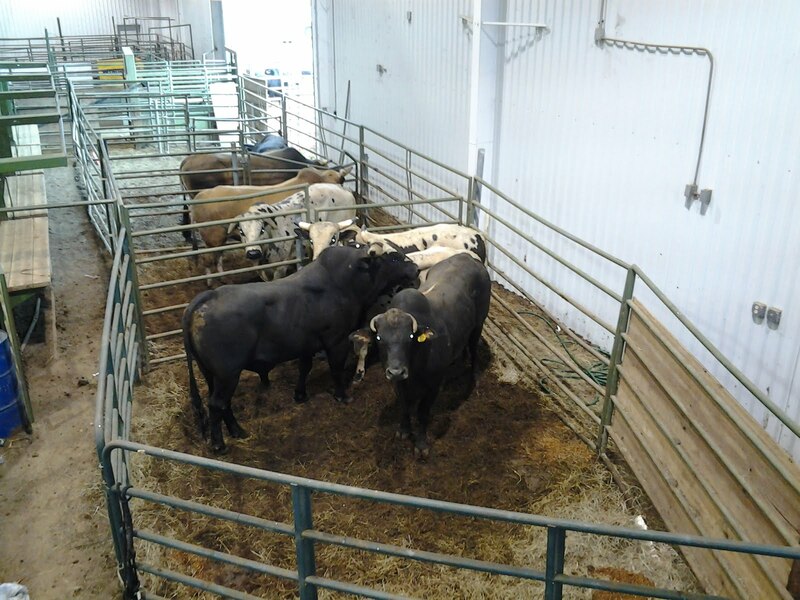 MISSISSIPPI STATE – The Mississippi State University College of Veterinary Medicine invites visitors of all ages to attend its 28th annual Open House on April 5 and 6. 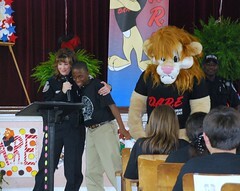 The Fifth Grade D.A.R.E. 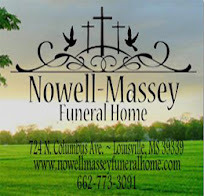 graduation will be held at the Louisville Elementary School Auditorium on Friday, April 19, 2013, at 9:00 a.m. Students from Louisville Elementary, Nanih Waiya, Noxapater, and Winston Academy will be participating. Alderwoman Judy McLeod tries out the Tony Stewart Simulator Car as Alderman Dickie Caperton offers a little instruction! Chamber members and Louisville City Officials took part in the festivities to mark the grand opening of Bullock Express in downtown Louisville. The Winston County Board of Supervisor's Agenda for April1, 2013 in now available by clicking here.This agenda is tentative and subject to change prior to the Board's meeting. To be placed on the agenda for future meetings, contact the Winston County Chancery Clerk's Office at 662-773-3631. 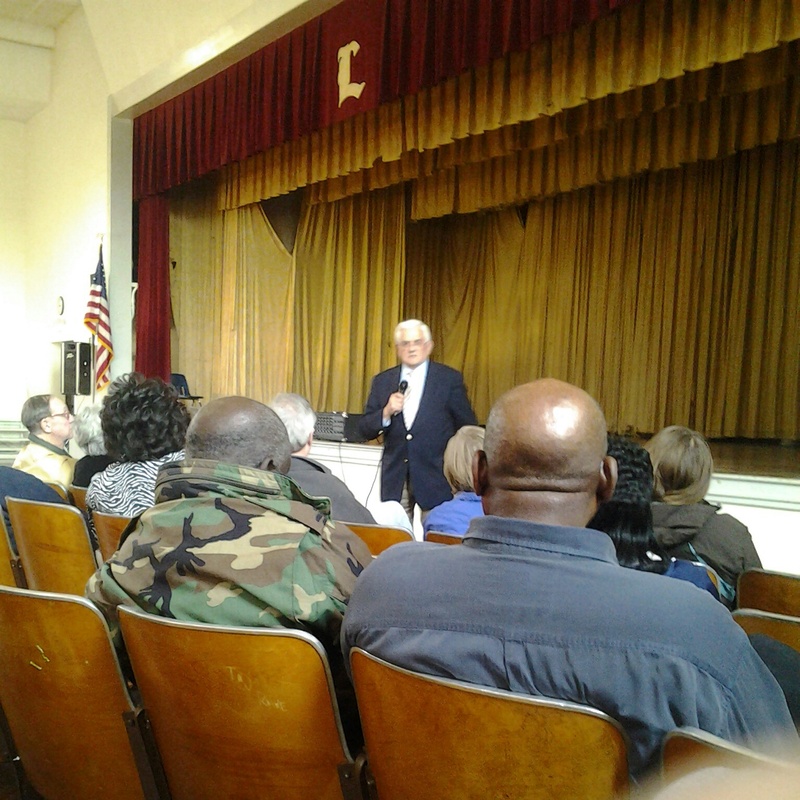 LMSD Board members met with school administration on Tuesday (March 26) to review the recently completed financial audit for 2012. Each year, the district is required to complete an audit of finances and financial procedures. This audit was conducted by the Watkins,Ward and Stafford accounting firm. Press Release: Tim Anderson and Chase Domino combined for seven hits and five RBIs in leading East Central Community College to a 15-0 blowout of Copiah-Lincoln Community College in the first of two wins over the home standing Wolves Tuesday, March 26 on the Wesson campus. News Release: Going out to eat with a group of friends is one of life’s most enjoyed pass times. Nothing beats good food coupled with good conversation in a friendly, relaxed atmosphere. Realizing that the residents at Winston Medical Center Nursing Home might enjoy the opportunity to dine together at some of Louisville restaurants, Marketing Director Brandi Krajewski began to make calls to local resturant owners and managers seeking opportunities for residents at Winston Medical Center. Auditorium to add their input into criteria for a new Superintendent of Schools in the Louisville Municipal School District. News Release: The state’s top community and junior college basketball players will have an opportunity to showcase their talents when the annual MACJC All-Star Basketball Games are held Thursday, March 28, 2013, at East Central Community College in Decatur. News Release: East Central Community College’s baseball team split decisions with Itawamba Community College in a non-division doubleheader played Sunday, March 24, 2013, at the Clark/Gay Baseball Complex on the Decatur campus. The Diamond Warriors held on for an 8-7 victory in the opener and fell 11-6 in the nightcap. Ryan Shotts of Louisville and Newton County High School product Xavier Franklin led EC’s offense in the opener. 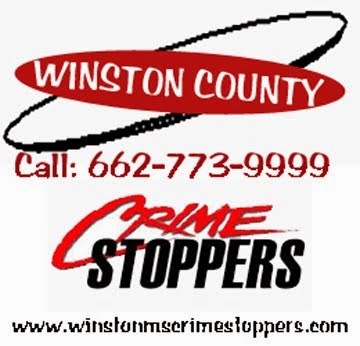 The Winston County Sheriff's Department is now online. As part of the County's recent agreement to build an online presence, the website at http://winstonmssheriff.com is now active. 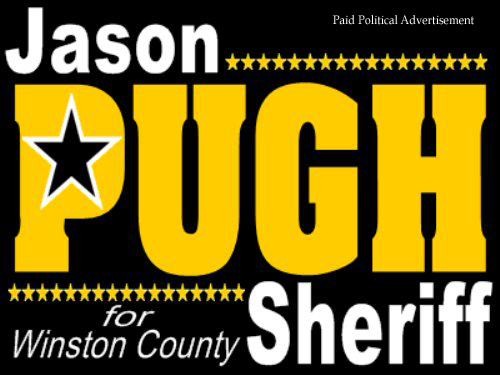 This site gives visitors and local citizens contact information and updates from Sheriff Jason Pugh's Office. The site provides information on Department Staff, the Winston Choctaw County Regional Correctional Facility, Crime Stoppers and the Citizen's Advisory Board. 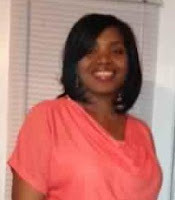 NFusion VII of Winston and Oktibbeha Counties is pleased to announce that Leda Porter is the newest staff member to the NFusion team. Her title is Transitional Advisor - II/Cultural Linguistic Competence Specialist. NFusion, an innovative new project in Winston and Oktibbeha Counties, has been established to meet the needs of unique youth. A public forum to provide input on the qualifications for the next LMSD Superintendent of Education will be held tonight (March 25) at 6:00 pm at the Louisville High School Auditorium. Dr. Harold Fisher of the Ms. School Board Association will be the presenter and facilitator of the meeting. The public is highly encouraged to attend and participate. Public forum tonight to discuss search for new LMSD Superintendent at LHS auditorium.........Ole Miss falls to La Salle 76-74 in NCAA Tournament....Winston Co. Sheriff's Office new website is up. A small crowd of 55-60 citizens gathered on Monday evening (March 25) at the Louisville High School Auditorium to add their input into criteria for a new Superintendent of Schools in the Louisville Municipal School District. Good Friday Program at Dean Park under the Pavilion. Contact Claudell Weaver 773-9414 for more information. The Louisville Board of Aldermen met on Tuesday night (March 19) in a regular scheduled meeting. A copy of their unamended agenda is available on their website at http://cityoflouisvillems.com. The first major item on the agenda concerned a zoning variance request for 119 Smyth Lake Rd. by Community Counseling. It's time to order your t-shirts for the upcoming Red Hills Festival!. Get your order form by clicking here. Each year, the design from the winner of the Red Hills Art Contest is used on the Festival's t-shirt. 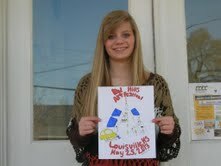 This year's winner was Madelyn Ball. MISSISSIPPI STATE – Seventy-five years have passed since Mississippi State University began producing its distinctive Edam cheese. 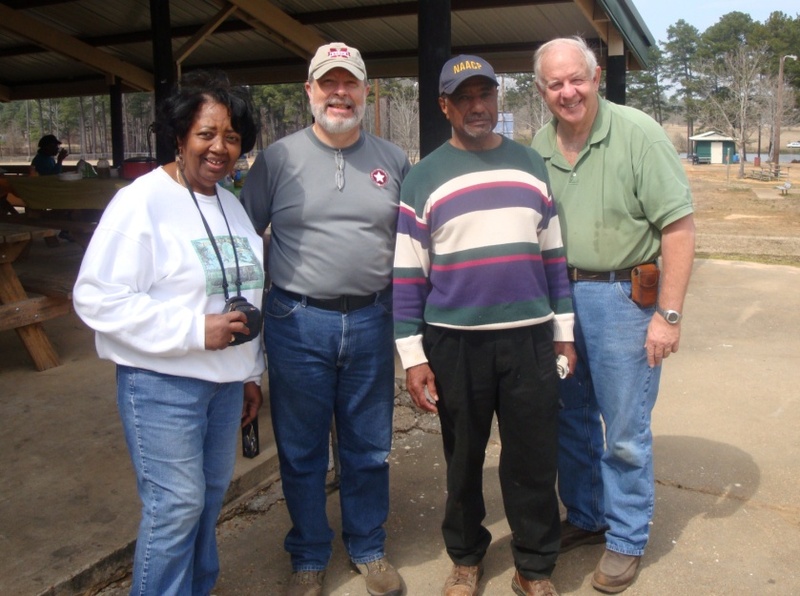 To celebrate this major milestone, MSU’s Mississippi Agricultural and Forestry Experiment Station will host a celebration on Saturday, April 20, outside the MAFES Sales Store. Refreshments will be served at the free public event from 9:30 a.m. to noon. Public Hearing on Rental Ordinance Canceled: The public hearing on the proposed rental housing ordinance for the City of Louisville which was scheduled for Tuesday, March 26, 2013 at 5:30 pm has been cancelled. The matter may be taken up at a later date and will be advertised as required. 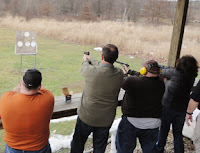 So ordered by the Mayor and Board of Aldermen on the 19th day of March, 2013. News Release: The search is under way for a new men’s head basketball coach at East Central Community College in Decatur. Maurice Bowie, who has led the Warrior basketball program since the 2006-07 season, submitted his resignation today (March 19) at the March meeting of the College’s Board of Trustees. The Louisville Municipal School District board met on Monday evening, March 18 and dealt with a number of issues including the election of new officers. Without any dissent, Cathy Edwards was nominated and elected Chairman of the School Board for the upcoming year. Thirteen officers took training at the Winston Choctaw County Regional Correctional Facility recently and on Tuesday (March 19) they received their Basic Detention Officer Certification as required by Law Enforcement Officer Standards and Training. News Release: East Central Community College’s baseball squad began MACJC South Division competition by splitting doubleheaders with visiting Pearl River Community College on March 12 and home standing Jones County Junior College on March 16. In Monday morning's Board of Supervisors meeting, District 2 Supervisor Luke Parkes made a motion to rewrite the interlocal agreement with the City of Louisville over management of the current 911 system. A Pew Research Center report indicates that 50% of Americans now receive news and information from digital media such as WinstonWebNews. The internet is approaching the same level as television news due to the use of smart phones and tablets. Paid subscriptions for news sites are increasing as well. Click here to see the agenda for the Winston County Board of Supervisor's Meeting scheduled for March 18 at 9:00 am. The agenda is subject to change and addition. To be placed on a meeting's agenda, please contact the Winston County Chancery Clerk's Office. PEARL RIVER COUNTY – The Pearl River County Master Gardeners hope to boost the population of the Blue Orchard bee in south Mississippi with a project intended to attract this native pollinator to area backyards. 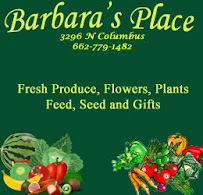 MISSISSIPPI STATE –Mississippi State University’s horticulture club will inspire garden enthusiasts with a wide variety of plants at its annual spring plant sale. This dog's name is Dolly and she is a Corgie mix. She is about two years and has been spayed. Dolly is loving and laid back. For more information on Dolly or other animals at the Louisville Animal Shelter please call at 662-773-4320 or visit the shelter located on 110 Thompson Street, Lousville, Ms. The shelter is open from 8 a.m. till 12 p.m. Monday- Friday. Thank you. The old time quilting bee is almost a thing of the past but a few local women gather together on a regular basis to quilt for a special purpose. As part of their outreach program, the ladies of Pleasant Hill United Methodist Church began their Prayers & Squares ministry in 2005 and joined by women from other churches, the outreach has been going strong ever since. There will be a sign up for the LOUISVILLE EAGLES YOUTH FOOTBALL TEAM for ages 7-12 on MARCH 16 2013 from 9am-3pm at the Eagles' practice field located on Ivy Avenue. Winston County's Emergency Management Agency is now fully online with its new website. 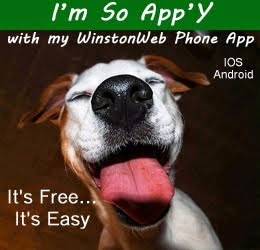 The site's URL is http://www.winstoncountyema.com. The site will provide not only contact information for local EMA but provide information on the 911 Advisory Board and area Fire Departments. Once and For All, an overview of the Passion in musical and narrative forms, will be presented at 6 p.m., Sunday, March 24, 2013, by the Chancel Choir of First United Methodist Church in Louisville Mississippi. It was a beautiful day for beautification of Dean Park on Saturday, March 9, 2013. The wind was high but so was the temperature as various groups joined in with the Friends of Dean Park, Inc. to help maintain the beauty of the park. More than 300 Winston County residents may receive an unpleasant surprise in the mail from the Mississippi Department of Revenue (MDOR) in the next few days. 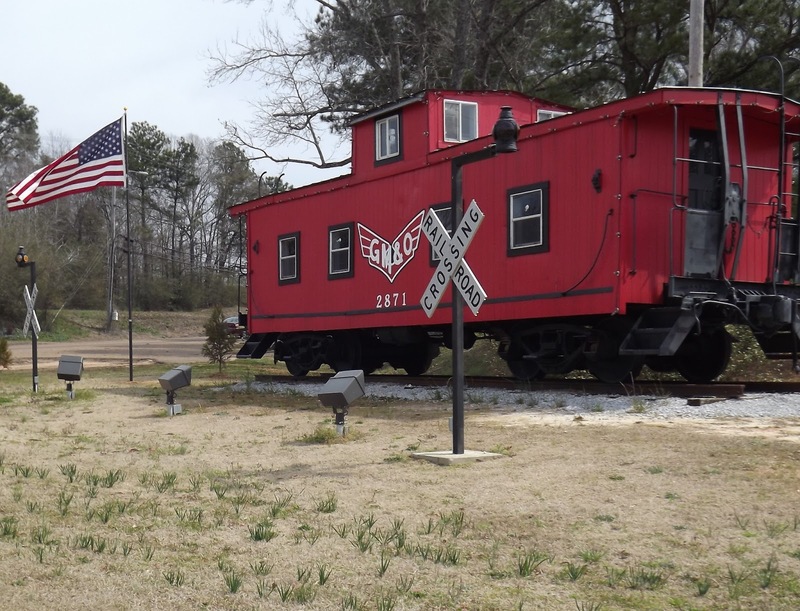 The Caboose located on West Main that serves as a welcoming site for Louisville was recently upgraded with an American flag and pole.The idea was promoted through the Louisville Lions Club who provided the flag and the pole was funded through the generous donations of Robert and Amanda Taylor. Rain chances increase this afternoon but rain is most likely this evening. High temperatures today could reach the mid-seventies. 40% chance of precipitation after 1pm increasing to 90% tonight. Some storms could be severe with wind gusts to 30 mph and rainfall amounts could exceed more than an inch. Rain could continue through late morning on Monday with highs in the mid 50's. The time to qualify for City of Louisville Elected Offices ended at 5:00 pm today. The primary election for Mayor, City Clerk and all Alderman positions is on May 7th while any required runoffs will be on May 21st. The general election is set for June 4th. Several incumbents will retain most of the offices as they are not opposed. However the Alderman-At Large position has three candidates. 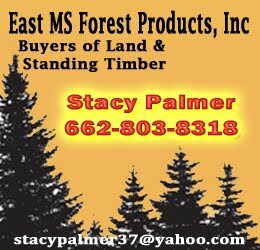 While presenting the Attala County Board of Supervisors with complete results of the Mid-Mississippi Job Fair Monday, Kosciusko-Attala Development Corporation President Steve Zea said that welding positions are going unfilled in our area and surrounding area because of lack of skills. Couple of schedule changes from Coach Cox's Twitter Acct. Saturday at Aberdeen at 1:00 pm Varsity only. 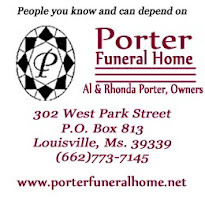 Wednesday's game with West Lauderdale in Meridian has been cancelled. The game with Raleigh at 12:00 on Wednesday is still on schedule. March 7, 2013 News Release: Winning ways continue for East Central Community College’s fast-pitch softball squad, which recorded a doubleheader sweep of Mississippi Delta Community College Wednesday, March 7 on the Morehead campus. Warmer weather is headed our way as it warms up further through the weekend.....The Winston County Chamber Banquet is tonight at 6:00 pm at Lake Tiak O'Khata. March 6, 2013 Cutline:The Rev. Marcus Mann is shown during his remarks at East Central Community College’s annual Black History Month Program held Feb. 27, 2013, in the Vickers Fine Arts Center on the Decatur campus. Meridian Woman Missing: Meridian police say Jamie Wilkes is missing. DUCK DYNASTY: Chief Phyllis J. Anderson presents a gift basket to Jep and Si Robertson during their visit last week to Pearl River Resort. Over 300 citizens of Winston County will receive a Notice of Adjustment in Homestead from the Chancery Clerk’s office this week. These letters are processed from the Mississippi Department of Revenue (DOR). The Winston County Supervisors signed an agreement on Monday for the development of a county government website with McCully & Associates, the parent company of WinstonWebNews. Members of the Mayor's Youth Council attended the State Youth Summit over the weekend (March 1-2) at the University of Southern Mississipi in Hattiesburg. The Summit is sponsored by the Mississippi Municipal League. This is Louisville's second year of participation on the program. The youth were escorted by Mayor Will Hill, Lori Black and Thomas "Pup" Kelly. Positively Mississippi: Big Red Fire Museum: Historical treasures can be found inside museum in Louisville. 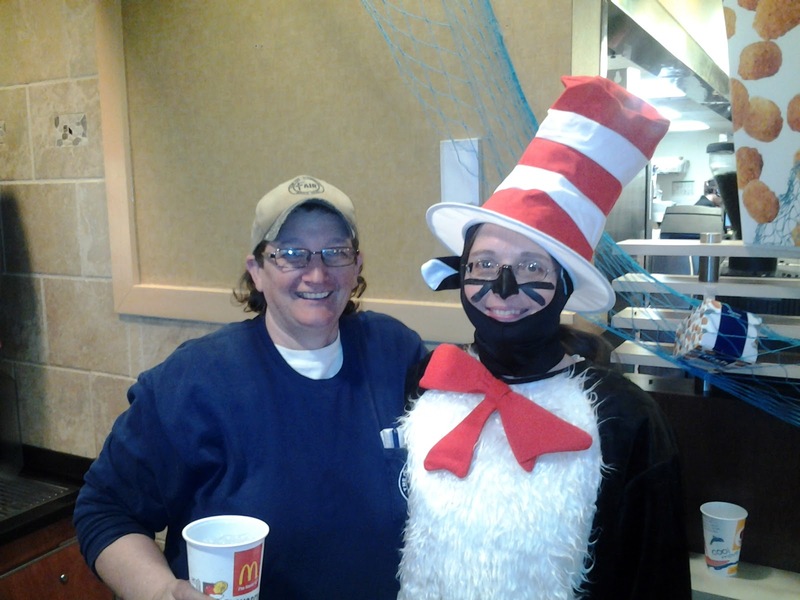 Teachers and Staff from Fair Elementary got a change of pace from their regular responsibilities as they participated in McTeacher Night at Louisville's McDonalds on Monday night (March 4). The Louisville Police Department would like to make local citizens aware of a recent rash of vehicle burglaries in the community. The thefts are centered in the western part of Louisville. March 4, 2013 News Release: East Central Community College’s fast-pitch softball squad improved to 10-4 overall following a doubleheader sweep of Baton Rouge Community College Thursday, Feb 28 on the Baton Rouge (La.) campus. Homestead Exemption - Do You Need to Re-Apply? Area students were recognized on Thursday night (Feb 28) for their participation in Protocol and Etiquette training through the Mayor's Youth Leadership Program.read our full article on WinstonWebNews. Area students were recognized on Thursday night (Feb 28) for their participation in Protocol and Etiquette training through the Mayor's Youth Leadership Program. 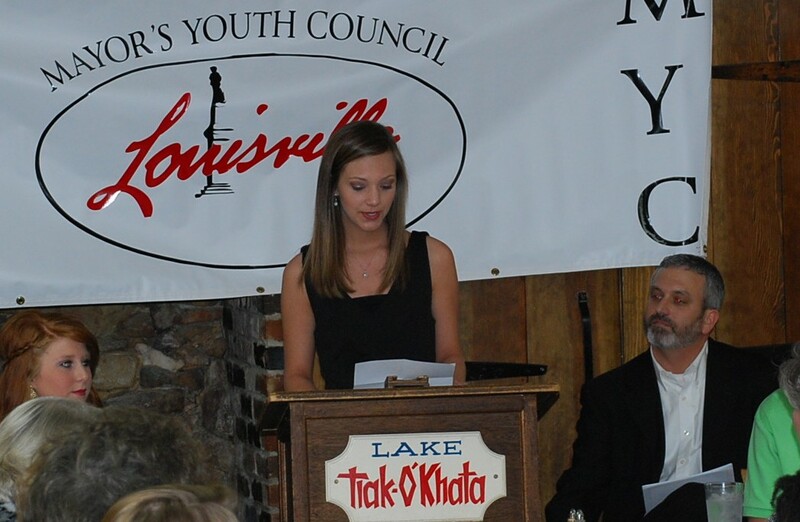 The buffet banquet at Lake Tiak O’Khata was attended by students, parents, grandparents, mentors and city officials. 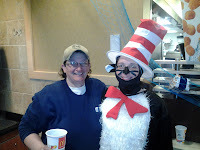 from FairElem - Twitter: The Cat in the Hat himself was on the Fair Elementary campus today to celebrate Read Across America Day and Dr. Seuss's Birthday! Sam I Am and Horton and the Who's were not in attendance! 2013 Protocol and Etiquette, a set on Flickr. coming up later this evening.